The summer air is almost still, delicately scented with a sweet, seasonal bloom. Brilliantly winged creatures flit and float between lupine, spirea and honeysuckle. Here in the Molbak’s Butterfly Garden, speak softly and step carefully as you enter another world. Opening Sat., July 2, the new exhibit takes flight with 500 free-flying butterflies from at least 15 native North American species. You’ll get a full sensory introduction to the fragility and resilience of nature as flowers bloom and butterflies emerge around you. Photo: Brittney Bush Bollay/Woodland Park Zoo. The presence of a single butterfly is enchanting—tiny, delicate and fairylike. Their littleness can be measured in grams, their adult lifespan sometimes just months, weeks or days. Yet butterflies are also grand in scale. In the Lepidoptera taxonomic order, there are at least 15,000 butterfly species and 250,000 moth species. In the U.S. alone there are 750 butterfly and 11,000 moth species. Butterflies inhabit every corner of the world, except Antarctica. Their range is global and in every sense of the word, so is their impact. These tiny, but mighty insects have an impressive ecological footprint. Iconic monarchs visit Central and Eastern Washington in June and take off in October, but the majority of butterflies here appear only during the warmest part of the year, when sunlight and nectar are abundant. Frequenting suburban flowerbeds to rural roadsides, high elevation meadows near Mt. Rainier down to the Olympic coast, the butterflies of the Northwest have a dynamic existence in our own ecosystem. 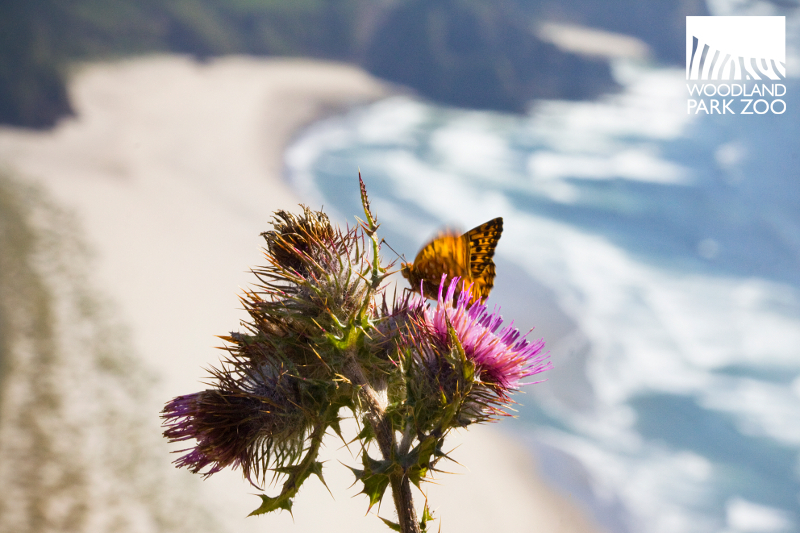 A Northwest native, the Oregon silverspot butterfly, lands on a meadow flower along the Oregon coast. Photo: Rachel Gray/Woodland Park Zoo. In addition to the powerhouse pollinators such as native bees and honeybees, butterflies are some of the best pollinators in our region. 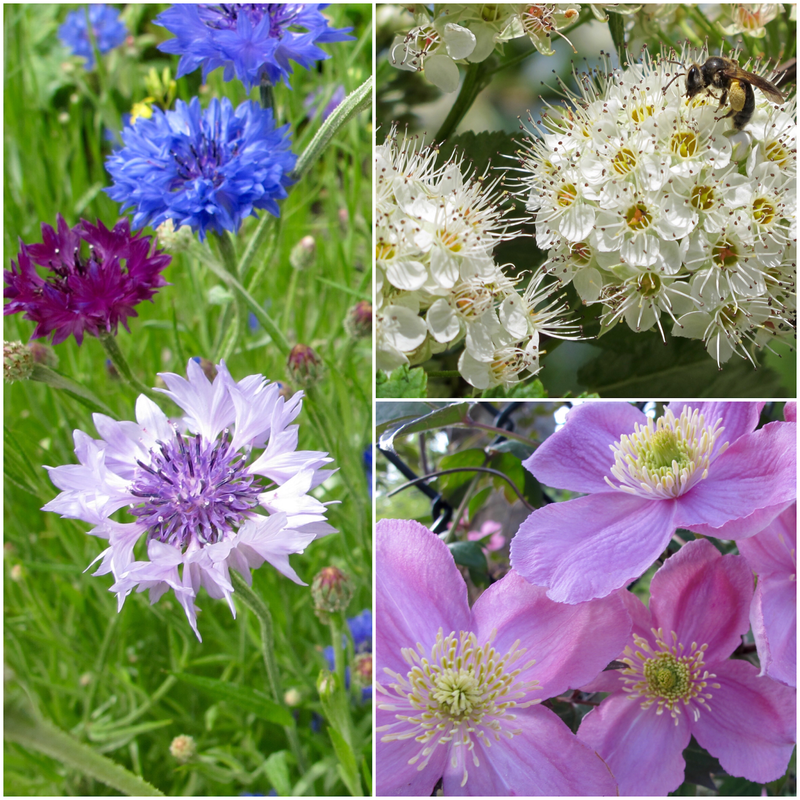 In lieu of buzzing from flower to flower, butterflies flutter and dance, often pollinating a wider variety of flowers during the day. Their continual flitting, meandrous though it may be, makes up for the small amount of pollen they collect at each stop. 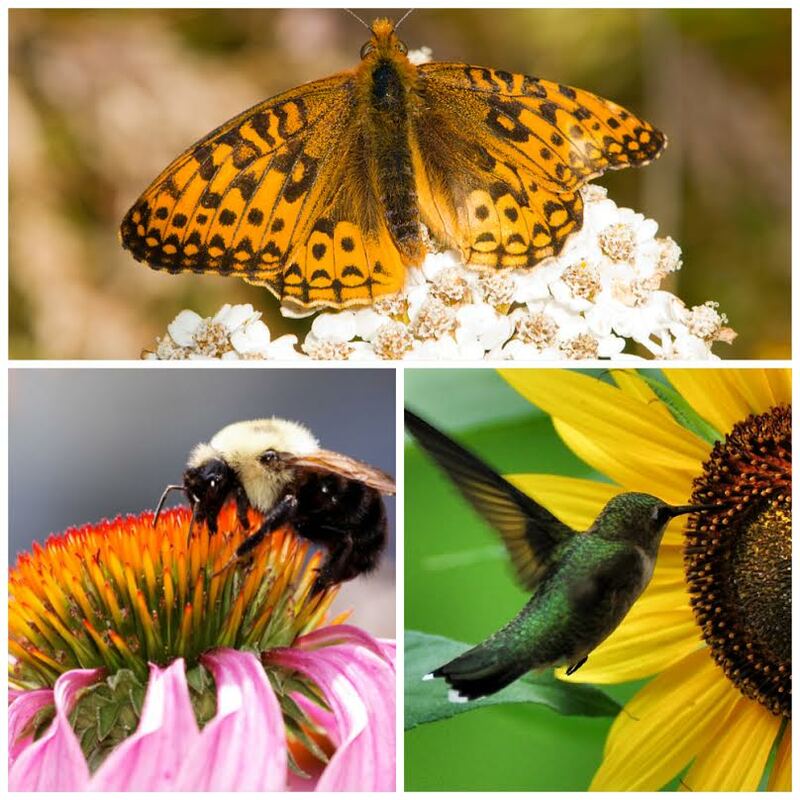 Besides pollinating our local crops, butterflies and moths are themselves a valuable food source for a variety of creatures including birds, bats and even bears. An important element in the food chain, these invertebrates are rich in nutrition and support a range of predators. Biologists often look to butterflies and other invertebrates as indicator species for healthy landscapes. Some biologists estimate that over 40% of insect pollinators are at risk of extinction due to loss of habitat, urbanization and the use of pesticides. Because butterflies are especially fragile to ecological change, they are one of the first species to abandon an ecosystem. Let’s persuade them to stay. ...we need to protect these. 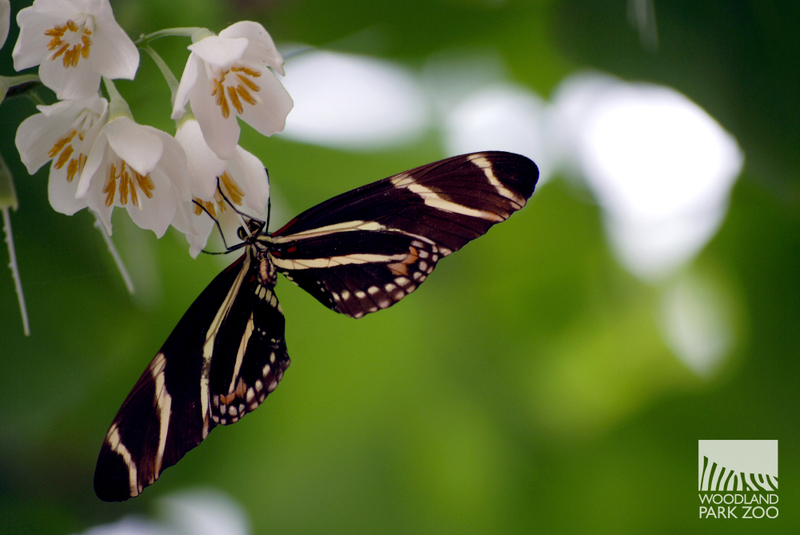 At Molbak’s Butterfly Garden, learn about what these winged beauties need to thrive and how you can take local action for butterflies and other pollinators. The exhibit experience is made possible thanks to generous contributions of individuals, families, foundations and corporations throughout the Pacific Northwest, and funding from the Seattle Park District. Molbak’s Garden + Home generously agreed to donate the plants and landscaping supplies that will augment the butterfly habitat and visitor experience for up to 10 years. 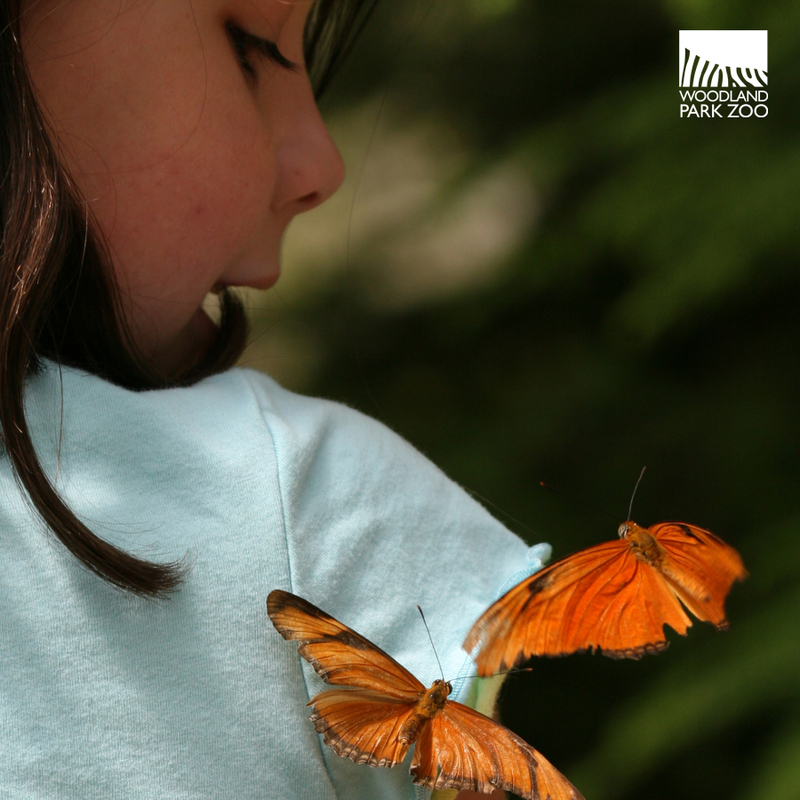 You can continue to support the care of the animals and exhibits—and conservation work like our Living Northwest Oregon silverspot recovery efforts—when you Name a Butterfly by making a donation of any size to the zoo’s Annual Fund now through September 2, 2016. 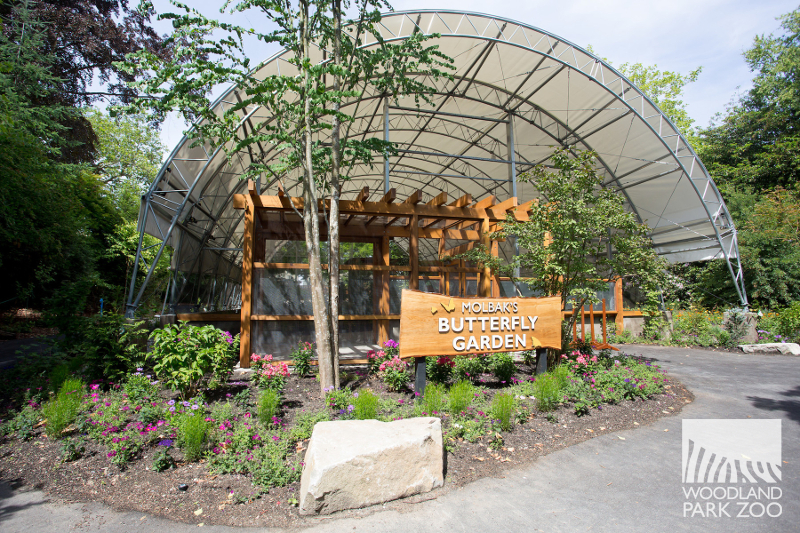 Anyone who makes a donation and names a butterfly will receive a digital certificate—perfect for sharing or gifting—and their butterfly’s name will be displayed all summer long on signage just outside the exhibit.